Need a tow truck in Gilbert AZ? Give us a call, day or night. We provide fast, reliable towing services you can count on. Car broke down somewhere on Hwy 60? Stuck on Hwy 87? Or Hwy 202? If your truck or SUV or teeny tiny smart car won't go, give us a call. 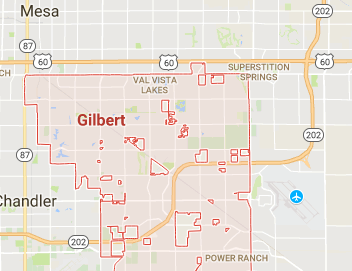 We are in Mesa, but only 10-15 minutes away from your Gilbert location and we can be there in a jiffy. Like, Speedy Gonzales fast, yo! We do Towing in Gilbert, and in Chandler, as well as Mesa, Tempe, AJ, and Queen Creek. Just in case you didn't know. We offer automobile towing, motorcycle towing, flatbed towing, and even long-distance towing. We offer other roadside assistance, too. If you are stuck, we can fix a flat tire, bring you gas if you ran out, unlock your door if you locked the keys inside (who hasn't? ), tuck you in and tell you bedtime stories, and more. Well, maybe. We do this stuff 24 or 25 hours a day, year around. It's how we make our living, so, whether it's 2:00 pm or 2:00 am, give us a call and we will come pick you up and get you and your car or truck or motorcycle or RV where you need to go. Where ever you are, just search for Towing Near Me and we'll be listed there. Give a quick call to see for yourself. Save some time and money by calling us first. Call Mesa Towing Services today to get you from Mesa to Gilbert, or Gilbert to Mesa, or wherever you need to go.